2018 Summer Reading Programs List – Get Kids Reading! Summer break started here this week, and one thing we always look forward to is joining our local summer reading programs, but there are SO many options out there! Today I'll share some of our favorite places to find 2018 Summer Reading Programs. We are super lucky to have an active, busy local library, which runs reading programs during summer and winter breaks. But my kids love reading and I love finding ways to encourage and reward them for it. I always try to seek out any reading programs during school break to help them earn prizes. Below are some of the top places I've found summer reading programs, broken down by national and local sources. If none of those work for you, there are also some online ideas and DIY Summer Book Programs at the bottom. Major chain bookstores often offer summer reading programs for kids and adults alike. Sure, their aim may be to encourage book sales, but instilling a love of books, reading and bookstores is not a bad thing, is it?! Half Priced Books' Feed your Brain summer reading program. This buy-and-sell-books marketplace chain can be found in 17 states so far. We love finding treasures in our local HPB store. Their summer reading program page has some fun free printables as well as staff picks broken down by age group. If you don't live by one, check the store list in case your summer travels take you near one. We love visiting cool bookstores on vacation. Barnes & Noble Summer Reading Program – B&N's program is split into school aged kids, teens and adults. 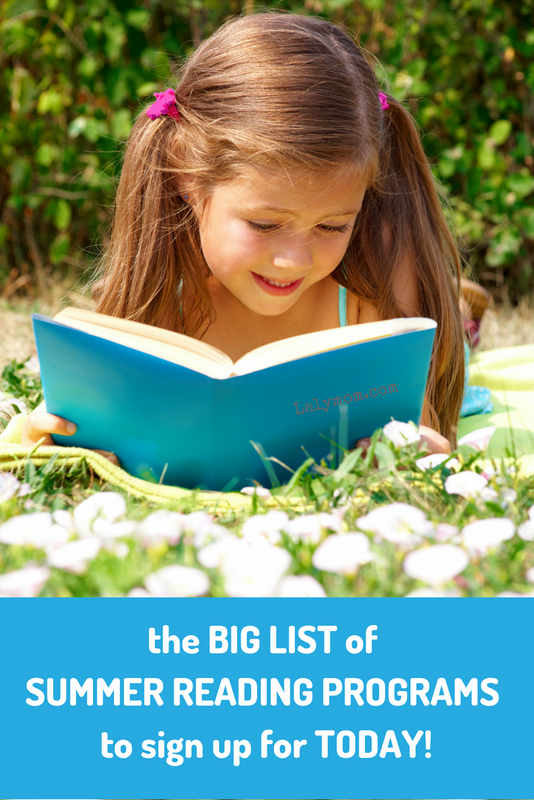 School aged kids can earn one free book from the list. Check the schedule for your local store and visit during a fun summer event. Books a Million Summer Reading program – BAM is encouraging kids to find a new favorite author this summer, and they sure picked a great ambassador for that theme. Mo Willems is the face of their summer program. If you read 4 books from their summer list, you can bring your journal in to any BAM location to earn a free Elephant and Piggie pencil case. Pottery Barn Book Club – Pottery Barn offers weekly story time with a special prize for attending 5 or more events. Chuck E Cheese's offers many reward charts to earn free tokens, including a Reading Rewards Chart that could easily be used as a Summer Reading Incentive. Book-It Reading program also has a Summer Reading Resources Page which provides fun printables to pair with popular books. Sylvan Learning Centers offer their Book Adventure Program all year long, and it makes the perfect free online summer reading program. The Virtual Book Club for Kids has a super cool 3 week Summer Camp, complete with book related activities, with all the planning done for you. ThinkStretch has an online summer reading program that allows you and your child to log reading minutes online and earn raffle tickets for prizes. Mischief Makers Online Summer Reading Challenge is the online portion of the Book Agency's summer reading program for kids who live in the UK. 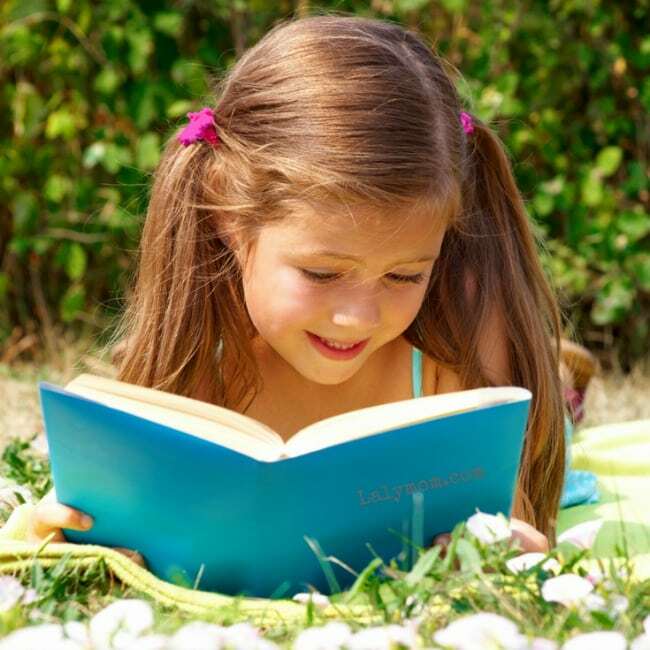 If major chains are not your thing, or you are looking for even more summer reading goodness, try these ideas for local summer reading programs. -Your Local Library and neighboring libraries too. Head to your local library or their website to see if they are offering a summer reading program. Ours has one for little kids, big kids, teens and adults. Make sure to inquire at other nearby libraries too. You can pick a new library to explore each week! Some libraries allow reciprocity for members of other libraries, while others don't, so be sure and ask. If you live near a major city, see if you can participate in their program, for example here is Chicago's Kids Summer Reading Program. -If you are touring local libraries, you can add some adventure if you have a local Library geocache community. For example, anyone in Chicagoland should check out the Altas Multi Library Geocaching Competition. Each library on the list has a geocache hidden and offers clues. Find as many as you can during the summer and earn prizes along the way. You can ask the staff at your local library if they participate in something similar. -State Sponsored Summer Reading Programs – Depending on what state you are in, check the state senate's website to find out about any state sponsored reading programs. For example, here is New York's Summer Reading Program. -Local bookstores are also great sources for Summer Reading Programs. They often have awesome author visits, cool story times and other events. Give a call or check the website to find out the details for your local independent bookseller. -Schools and school districts often run reading programs to prevent “the summer slide.” Call the administration office to inquire about your district's offerings. This is worth a call for homeschooling families as well, as many schools' summer reading programs are available to homeschooling families who live in district. Can't hurt to ask- that is my motto! -Colleges and Universities – Just because your tot isn't off to college this year, doesn't mean there is nothing for them on campus! SO many colleges and universities offer summer reading programs for young kids these days. It makes sense from their perspective to start cultivating school spirit early, and it's a win-win situation for us parents who love the encouragement it gives to our kiddos. -Movie Theaters – Some regional movie theatre companies offer movie tickets for books read. Showcase Cinemas is one. -Stores, such as HEB in Texas offer reading incentive programs as well. Here is the link to HEB's Summer Reading Program for our Texas friends. -Are you near a TD Bank? The TD Bank Summer Reading Program rewards kids with $10 in a savings account for reading this summer! If you want to customize a reading program based on your child's reading level, summer reading goals or to earn a reward of your choosing, there are so many ways to make your own DIY summer reading program. -If you are looking for a program that goes beyond books, to help struggling readers or as a summer reading tutor supplement, check out Reading Buddy. -For digital books, try Epic's Summer Reading Program. -For good old fashioned paper books, check out curated subscriptions from Bookroo, Kids BookCase or Amazon's Prime Book Box for Prime Members. -If you have a Kids Kindle Fire with Freetime you can use digital books on your Fire as well as Audio Books on Alexa-Enabled Devices. See the list of FreeTime Audible Books on this list of FreeTime Unlimited Alexa Skills. There are classics and modern titles as well. -The FreeTime Audible Books are also part of the 1 year subscription of FreeTime Unlimited you get with a Kids Edition Echo Dot, which features full parental controls such as when you can use it, what content you can access and explicit lyrics controls. Here are some fun book extension ideas to pair with popular books. You could plan one a week to go along with your summer reading selections. Which Summer Reading Programs are your kids participating in this year?